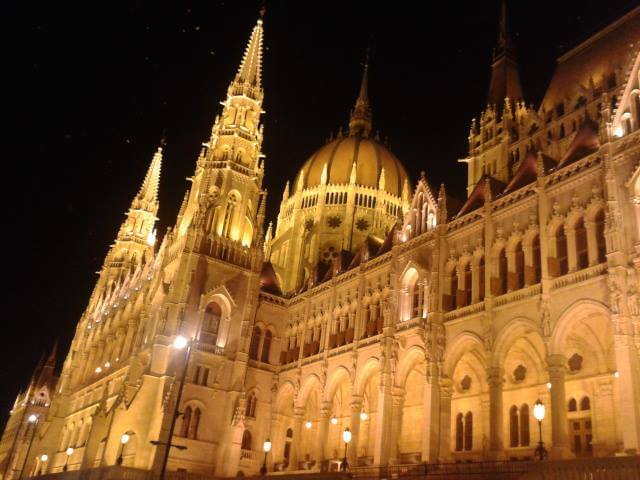 One of Europe’s most delightful, lively and enjoyable cities, with a youthful atmosphere and intense nightlife that makes Budapest more and more appreciated among European youth and international travellers. Budapest (by me named shortly Bp) is easy to be reached, via air, as one of the most famous low-cost company is based in Hungary. From airport, public bus 200E is running every 8-15 minutes to terminal station of metro M3 ‘Kőbánya-Kispest. From there catch metro train to the centre. Single bus tickets are available in airport terminals for around HUF 350 at the newspaper vendors, or can be purchased from the driver for HUF 400. Another 350 HUF ticket is needed to use the metro service. There is a transfer ticket for 490 HUF which may be used all the way from the airport to the city center, but are not sold in either by the machines nor by the kiosks at the airport. Do not accept offers from taxi drivers waiting (illegally) inside or near the exit of the terminal. Three direct EC trains go to/from Prague (7 hours). Online tickets are much more cheaper than normal tickets (the price begins at €19), but you should buy them at least 3 days in advance. If e-tickets are sold out or you have to buy a ticket immediately before departure, buy a (domestic) ticket Prague-Kúty Gr. (the CZ/SK border point) and international tickets Kúty Gr.-Štúrovo and Štúrovo-Budapest. This combination costs about 65% of the direct ticket. For the two international tickets you can get RailPlus discount and return ticket discount. From/to Prague Student Agency autobus operates twice a day from a bus stop located at Nepliget Metro station (note: this bus doesn’t start from Nepliget bus station, is on the other side of the bridge nearby a small bar and at beginning of the park). Budapest has been the meeting point for a short trip with a friend from Venezuela, she has never been to Europe, other than in Spain. We met at Nyugati railway station. From there we walk to the Zsofi house, a hostel that I booked previously. This is a typical big apartment turned into an hostel, the ones I prefer, with a proprietary, Zsofi, who works there, meets her guests, advises them, unlike the big chain hostels and party hostels, where there is a owner (almost never present in the building), a manager (not usually interacting with customers) and the staff, the only ones who work face to face with guests. For me, I said, it makes a difference, I like to meet the owner, you appreciate much more the place where you get to spend some time with the person who run it. 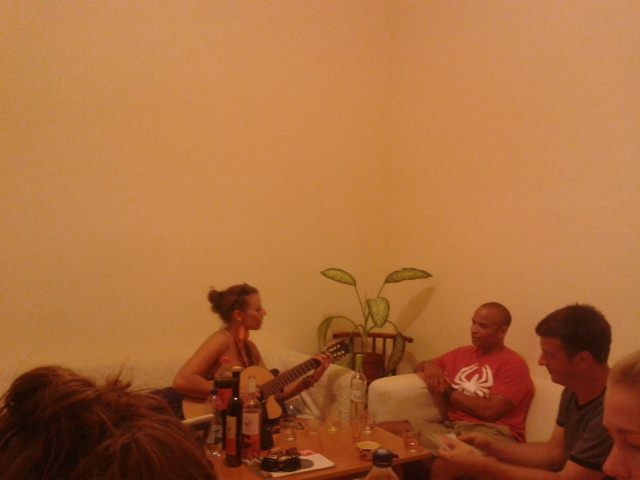 In fact, on our first night, after shopping at a nearby supermarket, we had dinner along with other people in the common room, with a nice atmosphere, a girl started to play the guitar and sing, after a while other improvised instruments came out to accompany the performance, a perfect and spontaneous jam sessions! If the music has helped to break the ice, another inescapable element in hostel life appeared, to begin the socialization part, mister alcohol. One of the boys, a Hungarian, proudly offered us the Palinka, a strong liqueur, similar to italian grappa. It started the presentations and brief story of each of us, besides me, the Neapolitan of the situation, my friend from Venezuela, there are two Swiss, a Japanese, a Brazilian and 3 Hungarians. After a few drinks and chat, I decided to go out for a little visit to the city center. In a few minutes we arrived at the bridge of Margaret island, turning to the left, towards the center, passing by the beautiful parliament building, lit with a pleasant color appearance. 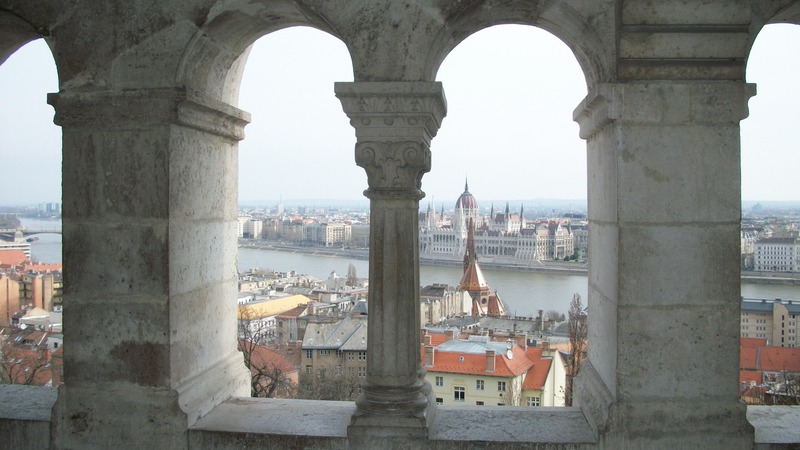 We are on the bank of the Danube called Pest side, while the opposite bank, identifies the called part of Buda, where you will find the fisherman bastions and the royal palace (called by many the castle, by mistake). 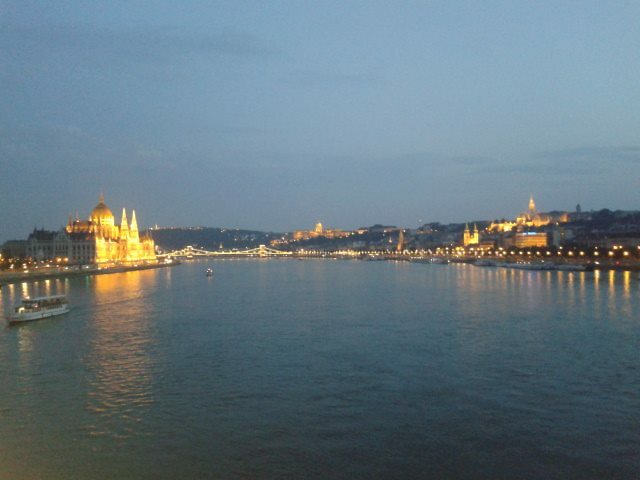 The Danube, Duna in Hungarian, makes us a good company, during this night walk. 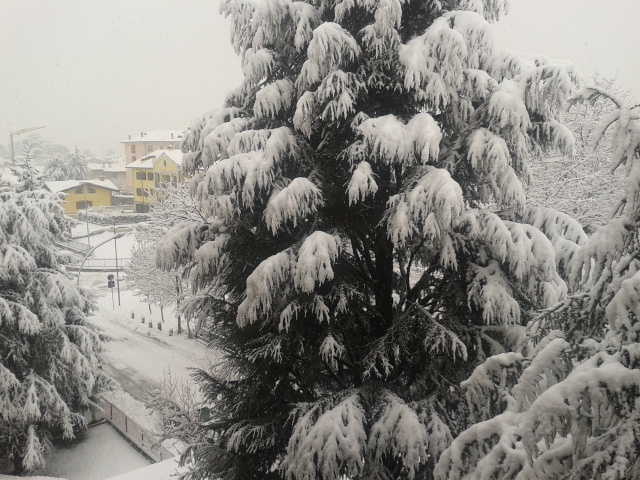 The next morning is dedicated to contact the hostels for the next destinations of my tour. In summer is recommended to book accommodation and transportion, in advance, given the high number of tourists and travelers. Book directly by contacting the hostel that you like, via email or telephone. You could ask for a small discount. In the afternoon we took a walking tour of the city, starting from the Heroes’ Square, the Varosliget park, really beautiful, with a nice little castle, the park has facilities for sports and benches where a couple of pairs of gentlemen were playing chess. 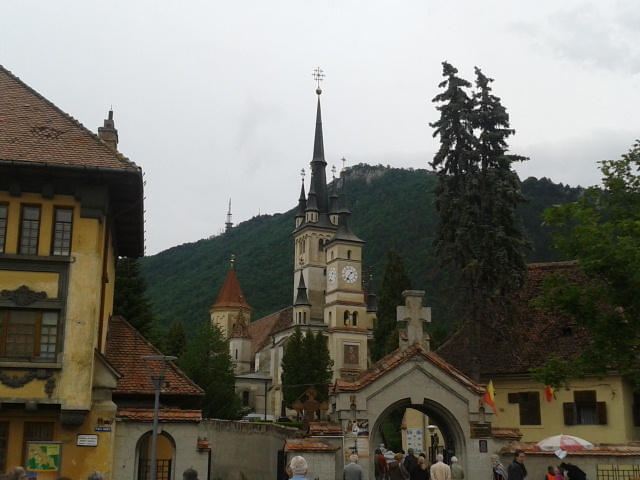 From this you can see the difference in culture between this part of Europe and the west. The atmosphere is so pleasant that we stoped to rest and do a little aperitif with beer and chips bought at the nearby convenience store. After a while, we took the direction of the famous Chain Bridge, crossing it to reach Buda part (the name should be of Slavic root, Voda, water). After such long walk our legs claimed a proper rest! 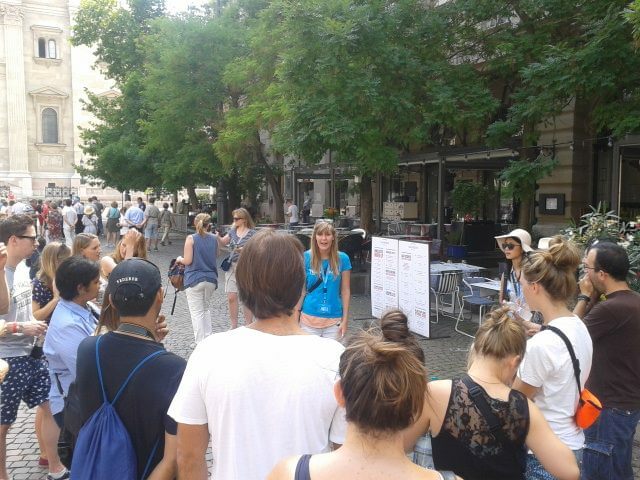 Saturday is dedcated to the free walking tour, in spanish for my friend, in english for me. The guide, Anita, puts a lot of passion in her job, telling stories and info about BP. Starting from the Basilica we reached the upper part of the city, at Buda side, in about 3 hours, all spent pleasantly. At the end of the walking tour, we saluted the good guide, just by paying a tip, completely voluntary and deserved after all. With two other guys met during the tour, a Brazilian and a Spanish, we decided to get something to eat in the center. In order not to spoil the day I propose to visit Szimpla, one of the first ruins pub, very famous and popoular in BP, almost like a monument and landscape. 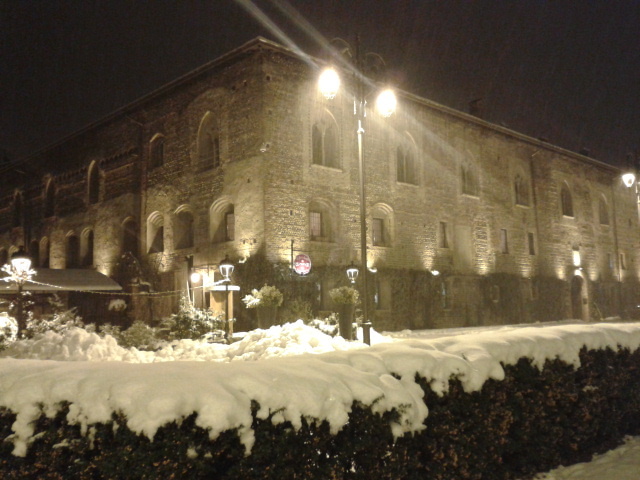 It consists in a pub established in a ruined building, adapted in a unique interior style. Something to see! 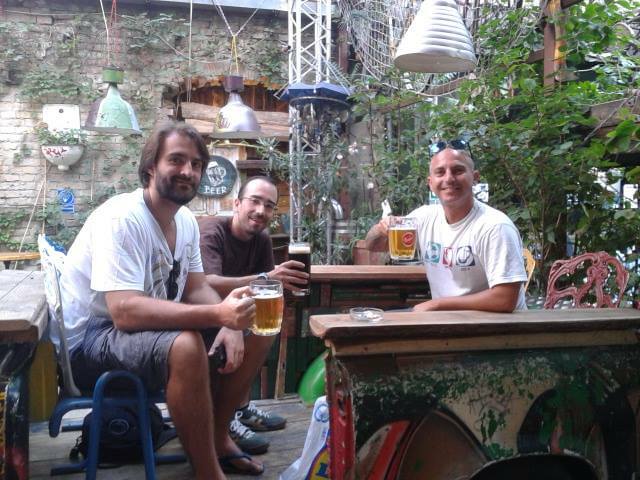 The Szimpla is considered one of the most beautiful club/pub in the world, for its alternative style. We stoped to enjoy a beer in the garden. Unfortunately drinking a good beer,i n BP is not easy, being the city very touristy and paying a little, I found the quality very low, at least for me. However, the place is worth a visit, as are the most famous monuments and attractions of the city. In the evening, a friend who lives in Bp, contacts me to tell me that there will be a meeting in the square Elizabet. I invited other people in the hostel, an Indian girl who lives in London and two German girls. We all went out together. 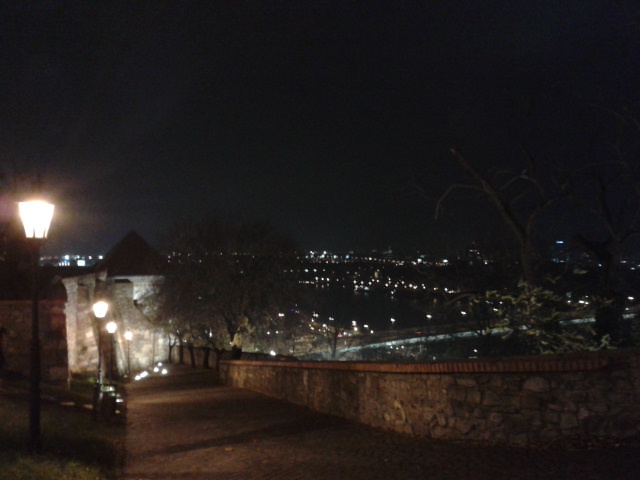 In the evening has an effect even better than during the day, lights and lots of people, really great atmosphere. Start the nightlife in this place, is my suggestion. On Sunday my friend‘s dedicated the day to relax, going to one of the famous spas, BP has dozens of thermal bath, inherited from the Ottoman culture, which ruled here for about 150 years. She later told me that the different saunas are great but lack a little bit of information, the food in the various restaurants were very low quality, but for about 15 euro you have a chance to spend a really relaxing day. I took a relaxing stroll downtown, an afternoon nap, a chat with the two German girls, in their European tour in their backpack. In the evening I went to the Elisabeth island, where it was played the water polo final between Hungary, who prevously beated italy in the semifinals, and Serbia. I could hear many fans cheering and screaming, as I did not have the ticket I watched the match at a bar, along with many other Hungarians and Srbs fans, they later on celebrated the victory of the European Championship. The next day, we had to get ready to get back on our next destination. 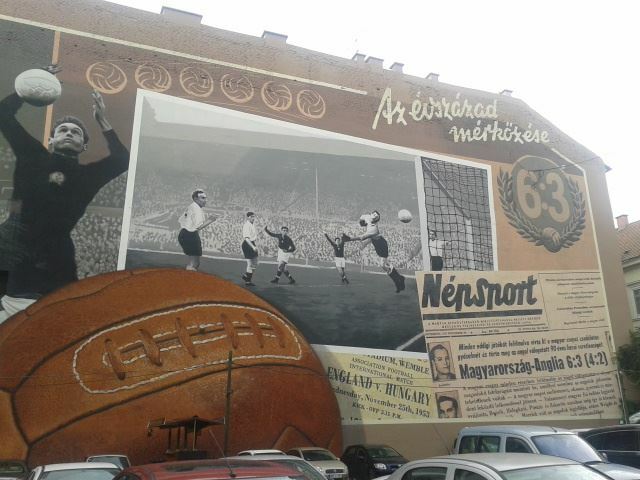 We went for a short walk in the centre, where I admired a wonderful murales, about the historical winning match of Hungary, at Wembley stadium, in 1953. 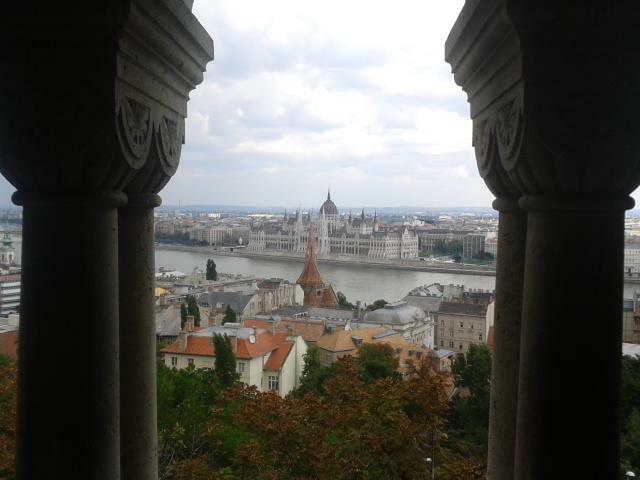 Our 4 days in Budapest were soon going to end, anyway, we had a very good time!